Don’t let the name fool you; Wire Tech Is not just for EDM. – Wire Tech Inc. 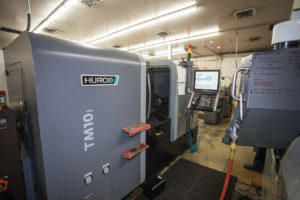 The Hurco TM10i is the newest piece of equipment at Wire Tech. It was purchased through D&R Machinery with the primary purpose of turning ring after ring of shroud segments. A segment is 10” diameter piece of Inconel or Hastelloy. Wire Tech needed a machine with a large capacity and plenty of torque to machine the groves into these superalloys. Flight hardware, exotic alloys and top notch quality are all in a days work at Wire Tech. They service primarily the aerospace and defense industry but also have decades of experience in tooling, injection molding and medical devices. At 29 years old Rick Erickson already had a decade of experience in manufacturing. 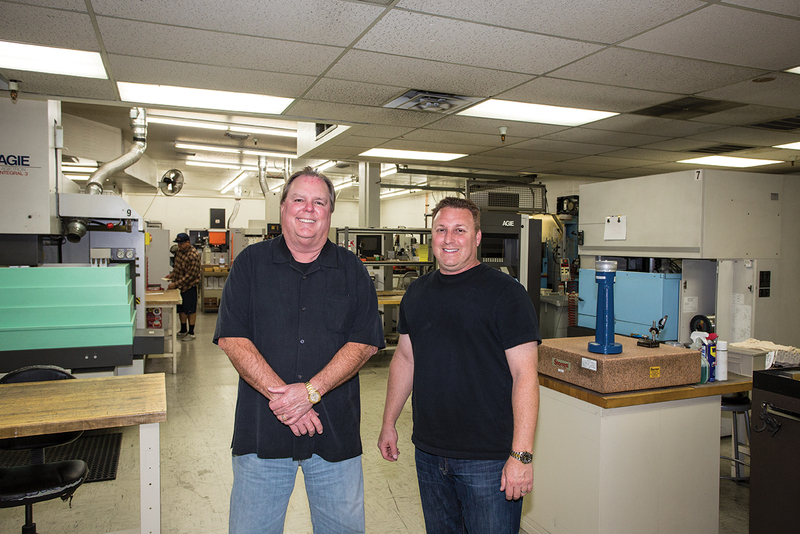 He opened Wire Tech with a single wire EDM and a small workspace in a Phoenix suburb. A few decades down the road he is a bit older, a lot wiser, and Wire Tech has become a premier manufacturing center in the Southwest. Surprisingly, Wire Tech is not just EDM, but a full-service CNC manufacturing company. For the first 12 years Wire Tech was strictly a wire EDM job shop, but in the mid 90’s that changed when they added sinker style EDM to the mix. 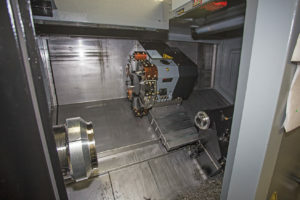 It was at that time they got their first mill, a Mikron HSM 700 high speed machining center. “You can’t have sinkers without milling support equipment,” explains Eric Rubin, shop manager at Wire Tech. “Each electrode is custom made for that part and requires expert machining to process. A lot of tribal knowledge is needed with sinker EDMs. Anyone can run it, but to truly be an operator it takes a lot of experience.” Wire Tech’s operators are involved in every step of the process. They do their own programming and work closely with the milling department manufacturing of the needed electrodes. 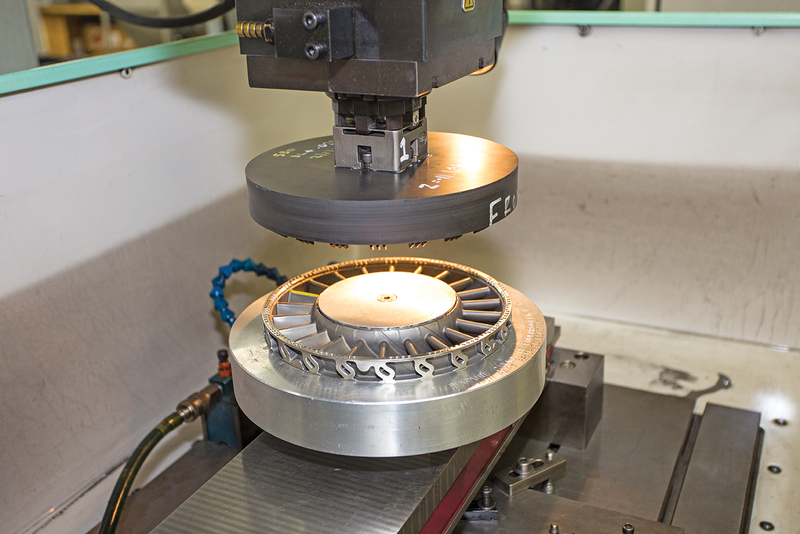 Wire Tech has five sinker EDMs, all GF Agie Charmilles and eight wire EDM machining centers. Throw in a couple of hole popper EDMs and there is an electrical bill you don’t want to see during the Arizona summer. 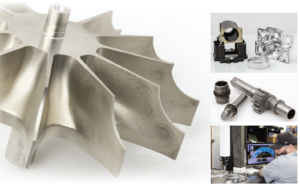 Originally the Mikron was used only for machining electrodes, and internal tooling/fixtures, but Rick saw a shift in their customer’s needs and began to offer milling in support of EDM. “We started out as EDM only, but over the years we’ve added capabilities allowing us to provide a finished assembly,” details Rick. “It was a gradual process, but since we already had high speed machining centers to support the EDM process we might as well offer those services to our customers as well. We wanted to do the whole assembly. That way our reputation for delivering a quality product isn’t impacted by the next guy down the supply chain.” Wire Tech is an approved vendor for many of today’s most respected brands like: Raytheon, Honeywell, GE, General Dynamics, and Siemens. Reputation and quality are less about pride and more of a way of life as a NADCAP, AS-9100 and ISO certified company. A lot of tribal knowledge is needed with sinker EDMs. Anyone can run it, but to be a truly skilled operator it takes a lot of experience. Wire Tech’s operators are involved in every step of the process. They do their own programming and work closely with the milling department on the manufacturing of the needed electrodes. Wire Tech added sinker EDMs in the mid 90’s. They have 5 GF Agie Charmilles sinkers and 8 wire EDM machines.